You won't find these anywhere else! Our new 1.25" Birch Blocks are hand sanded and stained to produce a beautiful standalone photo block. These make a great gift and look great on desk or shelf. You have the option to hang as well! We go the extra mile and hand sand and stain each birch block for a more finished look and better birch protection. We never outsource. All blocks are handcrafted in our Seattle shop. 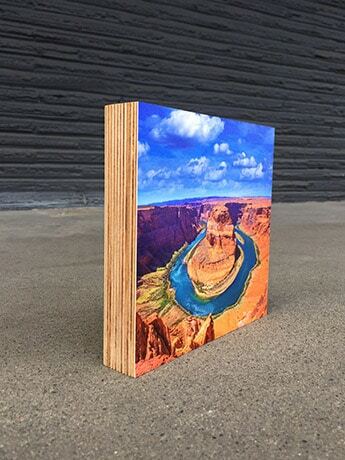 You may see other wood products out there where the photo is printed directly to wood. The wood grain can be distracting and distort the color. 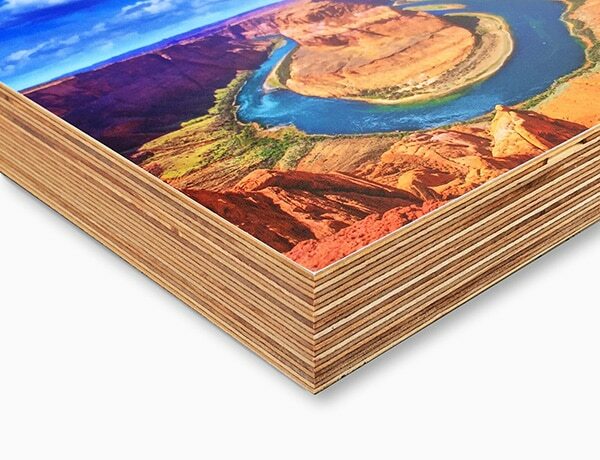 We print to pro grade photo paper ensuring a wide color gamut and exceptional accuracy. 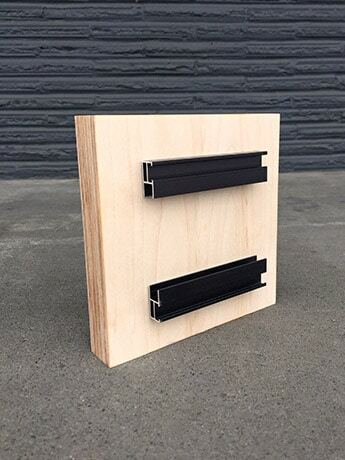 Our birch blocks are offered at a reduced price over the acrylic photo blocks while still offering an incredibly unique, gallery quality presentation. With near bulletproof art packaging we have shipped all over the world including remote islands. Use our easy online order system below to upload your photo and configure your Birch Block order!